Simplify your search for NHL apparel! 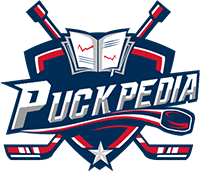 Find hockey jerseys for sale along with the rest of your team’s apparel, all on your favorite hockey news and information site, PuckPedia. With everything from basic hockey jerseys to premium, shirts, hats, and more, we are your source for all your favorite teams' apparel. On the day before the 2017 NHL Awards and NHL Expansion Draft, the NHL unveiled new hockey jerseys for all its teams. This season marks the switch from Reebok Edge to Adidas ADIZERO. Beyond changes to design, ADIZERO has brought improvements in terms of comfort and performance to its NHL hockey jerseys. For starters, the new NHL jerseys are 19 percent lighter than they were previously. This is due to a reduction in crest weight by up to 46 percent and the single-layer perforated numbering system, which reduces weight by as much as 60 percent. At the same time, these new hockey jerseys are stronger. They use special fabrics to enhance durability — by 27 percent in burst testing and 72 percent in abrasion testing. Finally, to further help players improve their performance, the new jerseys utilize Clima® technology. The fabric is 133 percent more permeable than before, which enhances air flow circulation and manages moisture. As a result, players stay cooler on the ice. The hope is that these jerseys will help teams play their best this season and that we’ll really see some differences on the ice. Adidas has a seven-year partnership with the NHL, meaning we may see even more improvement in the coming years. Adidas is also the official supplier of the league for the remaining licensed apparel, including hockey pants, socks, gloves, and helmets. Each team has two official jersey designs: one with a white (or sometimes a light color) base and the other with a darker color base. Between the 1970-71 season and the 2002-03 season, white jerseys were for playing at home and dark for playing on the road. Although this is still the practice for some low-level leagues, since the 2003-04 season, NHL teams have mostly reversed the home and away color scheme. Some teams also have a third jersey — called the third sweater program. Since 1995, this has been allowed when pre-approved for games, except during some seasons when the program has been suspended. For instance, during the 2017-18 season, the third sweater program has been suspended due to the uniform switch to Adidas. Teams tend to use their third jersey just a few times per season — to try out a new idea or to wear a vintage design. The third jersey is sometimes combined with alternate socks, helmets, and other equipment. If a new look is successful, the team may use it as the base for a jersey in the following season. Across all jerseys, the team’s primary logo tends to be on the center of the chest. Some teams also have secondary logos on the shoulders of jerseys. Each player of a team must have a different number on the back with their surname above and most teams also have player numbers on the upper arms. Finally, captains have a “C,” and alternate captains an “A,” on the front of their jerseys. Before 2000, teams had contracts with various suppliers, including Koho, CCM, Nike, Starter, and Pro Player. Most years, all (or almost all) of the teams had just one supplier, but sometimes jerseys were supplied by a number of different manufacturers. Since the 2000-01 season, the NHL has made a deal with a specific manufacturer to produce jerseys for all the teams. Until the 2005-06 season, this was with The Hockey Company. They put the Koho brand on the dark and third jerseys and the CCM brand on white jerseys. At the same time, the manufacturer’s logo started appearing below the neck on the back of the jerseys. Previous to this, it had been on the back of the waist hem. When Reebok purchased The Hockey Company, all jerseys began to be branded as Reebok. They began as Rbk Hockey and were later Reebok Edge. The newer Edge jerseys, introduced for the 2007-08 season, had a tighter fit and were more flexible and water-resistant. Almost every team made some adaptations to their uniform following the release of these jerseys. However, five of the Original Six made as few changes as possible. Although teams have standardized jerseys, other pieces of apparel are left up to the players to choose. They can pick whatever brand they like, provided the color matches the uniform — there is no need for players to have identical equipment. Sticks, underclothing, and goalie pads and gloves do not even need to be in the team colors. Many teams, however, have branded undershirts for their players to wear. This gives fans another opportunity to purchase NHL apparel that represents their team. Check out our exciting line up of NHL apparel now!